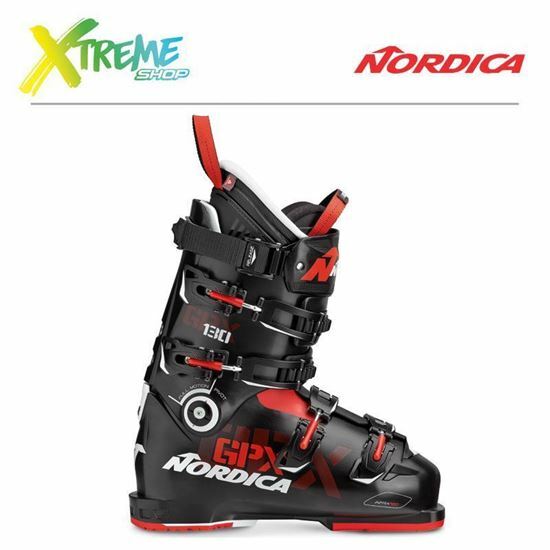 The GPX 130 was designed by skiers for skiers, as Nordica’s pinnacle in all mountain boots. The GPX 130 was designed by skiers for skiers, as Nordica’s pinnacle in all mountain boots. Built with our anatomical 98mm mono injected PU last, hand crafted Primaloft® Custom Cork race liner and soft grip soles, the GPX series was engineered to deliver whatever you need whenever you need it.